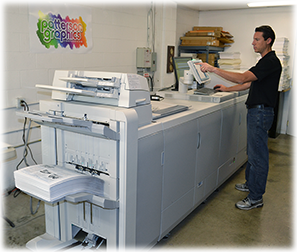 As the area’s digital and offset printing experts, Patterson Graphics will produce your job on time and within budget. Producing consistently high-quality printing even over long runs, we offer one-, two-, three- and full-color printing for a wide variety of paper sizes and stocks. Contact us today for a free consultation and find out if offset or digital printing is the right choice for your next print job.